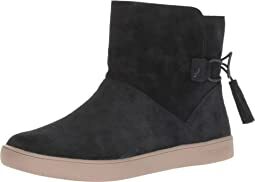 Rooted in the laid-back Southern California lifestyle, Koolaburra by UGG® delivers ultra-wearable wardrobe essentials that transcend the seasons. Casually chic and effortlessly carefree, Koola’s outfit-makers are bound to get major mileage as they complement and enhance any easy-going style and can carry you from morning to sunset or beach to bustling cityscape. 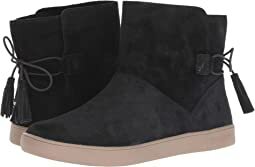 Transitioning from carpool lane to Pilates with ease, these sheepskin boots, slippers, and sneakers are at home wherever the road leads. Flattering and endlessly wearable, Koola merges of-the-moment styling with accessible silhouettes tailored for taste-makers. More than just footwear, Koola is the solid foundation of every look. It’s the first step in any adventure. The freedom to roam in familiar comfort. Above all, it’s a must-have in any style maven’s arsenal. 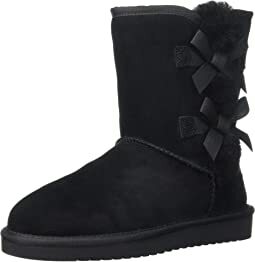 I bought these boots in the Zinfandel color for daughter. She loves them with the exception that the color bleeds, a lot. Even though I waterproofed them. Not just on the outside either, inside onto socks as well. I paid less but they werent cheap and have purchased many pairs of colored Koolaburras and this is the 1st time the color/dye has bled. It starts out narrow but it stretches immediately. Super nice shoe! The quality is excellent for the price. 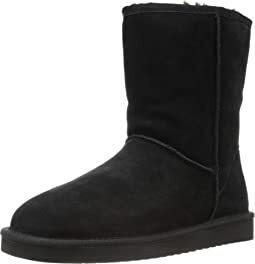 I really like fleece UGGS. I have paid a lot more for them in the past, so this was a lovely surprise. Really was hopeful for these. 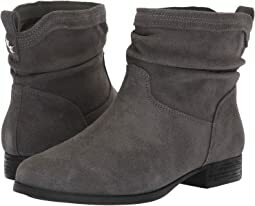 But sending back for lacking interior comfort and design and fit Exterior seems sturdy and durable suede in a soft gray with sherling trim on edges of boot opening. However, the interior upper leg shaft lacks the sherling lining, instead it has a knit sweater like lining. The button open close side is cute but still loose. The interior foot opening is much tighter than size suggested. 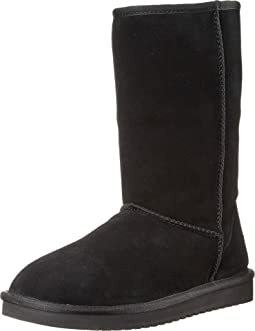 This made it uncomfortable and difficult for putting boot on / off with regular socks. The foot area has some additional sherling fur but does not run through out the boots interior. 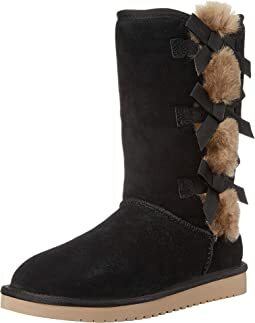 Yes, once i forced my foot through, it fit on the interior, but was disappointed in the lacking foot bed comfort / support for any boot priced near $100. I have wide feet and I had to send them back because it was so difficult to wedge my foot into she shoe beyond the ankle. Once my feet were in the shoes were great and very comfortable. 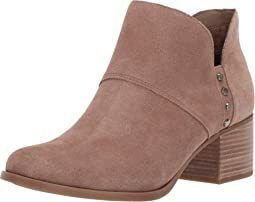 I would not recommend this for women with wide feet but they are great for the average normal width woman. Since I wear a half size I meant by the recommendation order to size up and they fit perfectly a little tight around the area of my foot by the ankle but I'm sure it will loosen up as I wear them. I would definitely recommend! The fit was true to size. Most comfortable UGGS I have ever worn. Love the zipper on the side, makes it easy to get on and off. These fit great and look great! I love how they go with everything pink that I’m wearing. 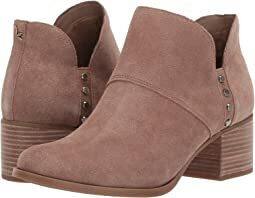 I love these booties!! They are as cute as they looked online and even more comfortable than I hoped!! Really, really comfortable! 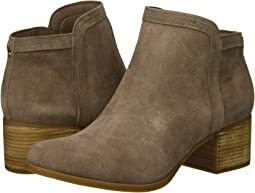 I’ve been looking for a great, everyday pair of booties for a while and I couldn’t be happier! 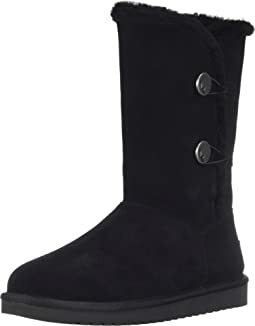 I love them they are very comfortable and convenient would definitely purchase another pair. Too small, will return. And where is the size noted on this slipper? I can't find it. If I can't how can an employee? 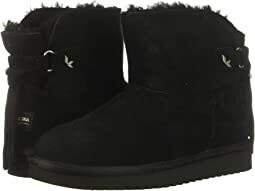 I have other Ugg boots but this is my first koolaburra pair. They feel cheap and stiff. 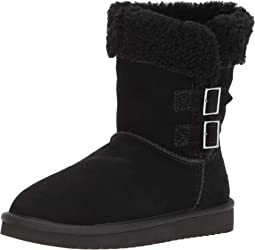 It feels like they need a lot to break in, compared to my regular Ugg boots that were comfortable from the start. Bottom line: I don't like these and it irritates me that I can't return them. It's my fault, though, for assuming Uggs would be comfortable. A little narrow but comfortable. Not quite enough to say too narrow. I think my regular ugg slippers are more comfortable. True to size. My daughter loves them! I typically wear a size 7.5 and bought a size 8 in these shoes. The fit is perfect...I have plenty of room for socks and tucking in my pants. 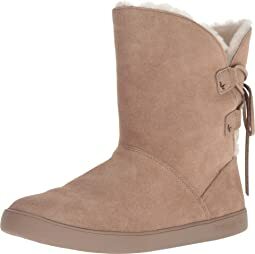 I have worn Uggs for years now and the thing I loved most about then was the way the lining felt when you put your foot in the boot. 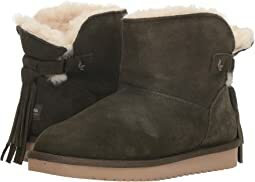 Even though the Koolaburra by Ugg is very comfortable, I feel they could improve on the lining as well at the style. Something about them screams out "ordinary." 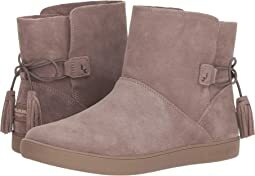 Even though the price is 1/2 the price of Uggs, I still feel they can do better for the price. I didn’t not like how these shoes looked or felt. 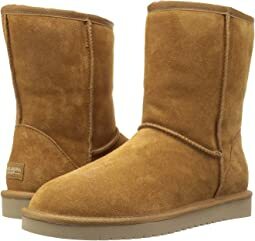 I did not think they were comparable to regular UGGs. I sent them back. I wanted to like these so much. I needed a comfortable slip on that I could wear to stand all day and wanted something I could wear with socks to cover my ankles. I always wear a 7 so that's what I ordered. My toe was hitting the end of the shoe and the upper was tight on the top of my foot. I sent them back and ordered the next size up, an 8. I could slide my foot around inside. My heel wouldn't stay in the back and there was a full thumb between my big toe and the end of the shoe. On to search for more. Very cute. A little lighter in color than I expected. I thought they would be a darker burgundy. But they are still very pretty. Size 8 was too large, and size 7 was too small. Basically my foot was coming out of the shoe in size 8, and in size 7, I could not even stick my foot inside the boot. I don't even know how to rate the size, above.